After long days spent toiling away at a computer, wearing pants, drinking water, reading the news (on Twitter), and eating mediocre desk salads from venues that have "gourmet" in their titles in spite of the fact that they are decidedly not gourmet, it's honestly absurd that anyone expects you to socialize. We get it. You're not misanthropic, it's just hard not to hate everyone you know. So here's a thought: how about a vacation in isolation? 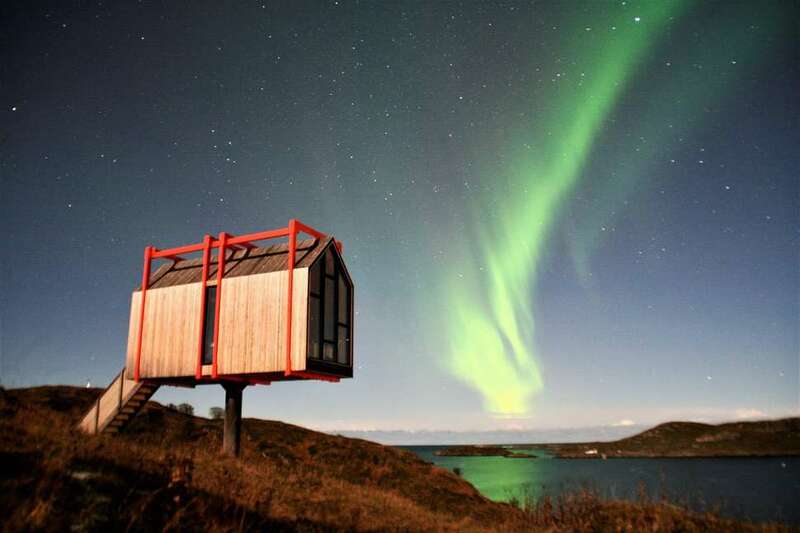 Now, you can rent your own Norwegian island in its entirety, stationed beneath the Northern Lights. The nearest breathing human being will be a full boat ride away, which guarantees you a trip blessed with neither small talk, nor tourists. The specialty island is called Fordypningsrommet (we believe it may have been named by a baby using a computer keyboard to teeth), and it's only accessible via an hour-long ferry ride from another island, situated more directly off the coast of Norway. 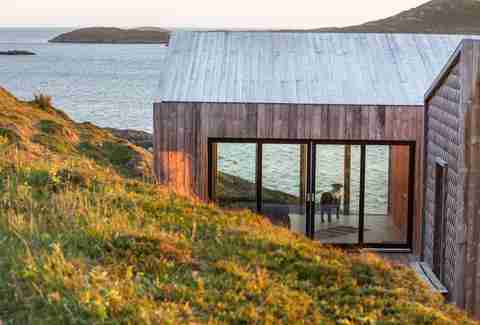 There are no cars, and no shops -- just nine separate, tiny cottages, each of which has its own individualized purpose: bedroom, bathroom, kitchen, sauna, and so on. 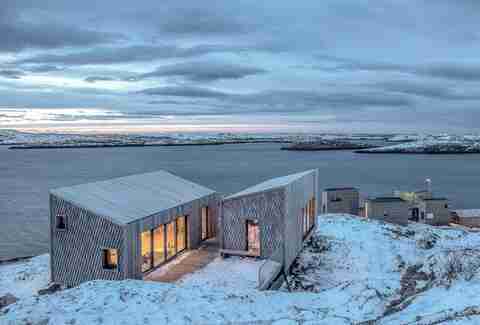 But these aren't rustic little hobbit homes -- they're so chic, angular, and well-designed, they managed to earn themselves an Architizer's 2018 A+Award. In total, the chambers can sleep from 10 to 15 people comfortably, so it's really up to you how much human interaction you'd like in your time away. And don't forget, beyond all the much-needed isolation, you're paying for private, entirely unadulterated views of the Northern Lights. According to Visit Norway, however, the lights aren't the island's only essential view. The place is up for grabs year-round, though the host will only be available during the summer months. And in total, it's just $3,500 a week -- a steal, obviously, for the glorious gift of you-time. Picture it: You, gazing up at the Northern Lights, sipping a glass of wine, relishing the tickle of fresh frostbite on your toes, settling into the knowledge that absolutely no one will hear you if you call for help.